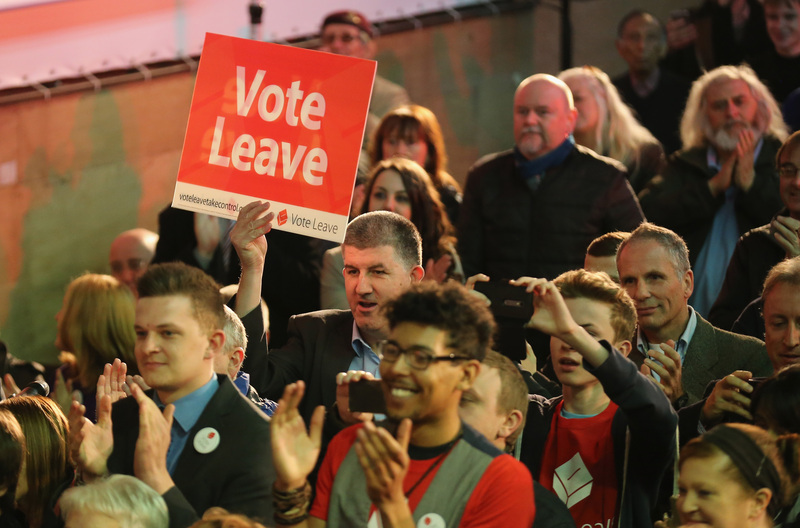 The U.K.’s referendum to exit the European Union shook the global financial markets. While Brexit’s eventual impact may take months, if not years, to assess, its effect will not be solely confined within the U.K. and the EU. For China, Brexit will affect its global trade aspirations and the pattern its foreign investment growth takes. In the months leading up to June 23’s vote, high-ranking Beijing officials expressed their worries about the prospect of a British exit from the EU. The concern underscores the idea that Brexit will hurt Chinese interests in Europe and change its paradigm of engagement on global trade. U.K.’s exit from the EU offers a setback for negotiations on the massive U.S.-EU trade agreement, the Transatlantic Trade and Investment Partnership (TTIP). Negotiations on TTIP were already on ice due to growing anti-trade sentiment on both sides. TTIP talks will be on hold as the remaining 27 EU nations must establish all new trade relationships with the United Kingdom. A chief concern is that the U.K. had been a major proponent of reaching a deal with the United States. Without its support, TTIP negotiations could regress as the rest of EU is less likely to relent on certain key issues, especially those surrounding food safety laws and influence of American multinational corporations. How is this relevant for China? For one, the United States has always viewed TTIP as a companion agreement to the Trans-Pacific Partnership (TPP). If TTIP is delayed or scuttled, then TPP’s execution is far from a guarantee. The TPP—which ostensibly excludes China, for now—is part of President Obama’s plan to reassert the United States in Asian trade matters. China is working on its own massive trade agreement with Asian Pacific nations, called the Regional Comprehensive Economic Partnership (RCEP), which excludes the U.S. The U.K.’s enthusiasm for China was often in conflict with Washington and even its own interests. If TPP is sidelined due to U.K.’s exit from the EU, then China would feel less pressure to liberalize its domestic and global trade policies, in light of more U.S.-centric rules within the TPP governing issues such as labor, environment, and intellectual property. China’s leverage and influence amongst Asian nations on the trade front would increase. In a fell swoop, Brexit suddenly changes China’s rules of engagement with the EU. Currently, the EU is China’s biggest single trade partner (the United States is No. 2). Bilateral trade between China and the U.K. represents 10 to 15 percent of total trade with the EU. The U.K.’s exit from the EU may prompt Chinese firms to reassess investment and trade with both the U.K. and rest of Europe until key questions are clarified. What will be the status of London as a global financial hub? What will future trade agreements look like between the U.K. and rest of EU? What does this mean for the stability of the pound sterling (and the euro) as a major world currency? Will Brexit inspire similar referendums elsewhere within the EU? U.K. has been prominent in its friendliness toward China. The conservative government and Prime Minister David Cameron view trade and investment relations with China as a top priority. 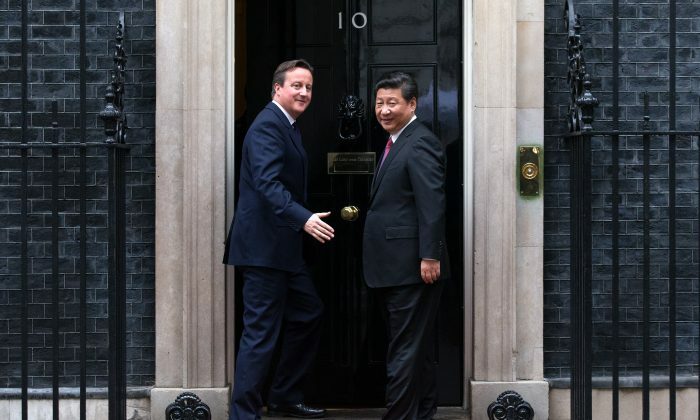 Cameron was the first EU head of state to push for the conclusion of a free trade deal between Beijing and the EU. He also supported granting China full market economy status (MES) within the EU, which would make it a challenge for EU nations to impose tariffs on cheap imports. The U.K. also became the first European country to sign up for the Asian Infrastructure Investment Bank, China’s rival institution to the World Bank. The U.K.’s enthusiasm for China was often in conflict with Washington and even its own interests. Despite well-documented struggles of Britain’s steel industry at the hands of the Chinese, Downing Street blocked numerous proposals by the European Commission to increase tariffs on cheap Chinese steel imports. In the future, China will need to negotiate a bilateral trade agreement with the U.K. At a cursory glance, neither Germany nor France is keen to advocate for China’s interests within the EU going forward. Germany frequently criticizes China on its poor human rights record, and France has long been against granting China MES status. Given future economic volatility within the EU, which exerts negative pressure on the euro, Chinese exports to the European region could see a slight to moderate down-tick. Independent of London’s status as a global financial center, the U.K. has been a main destination for Chinese outbound investment. Total foreign direct investment from China to the U.K. between 2000 and 2015 amounted to €15.1 billion ($16.8 billion)—top in all of Europe—and accounts for 25 percent of all Chinese investment in the EU, according to a joint report by the Rhodium Group and Mercator Institute for China Studies in Berlin. Wang Jianlin, China’s richest man and chairman of property developer Dalian Wanda, has warned for months that a Brexit scenario could cause Chinese businesses to withdraw from the U.K.
After Brexit, the U.K.’s uncertain relationship with the rest of continental Europe now calls into question the effectiveness of those investments by China. A post-Brexit situation that restricts U.K.’s access to rest of EU would be a devastating result for Chinese multinationals seeking a foothold in Europe through the U.K.